I have been just waiting to share this post with y'all. No reason I've been waiting except I'm still pregnancy tired and unmotivated to post sessions. But that needs to stop... eat a snack and write the post Meli! Tyler and I have known each other from the womb. Legit... I'm about a month older than he is and our mothers are best friends. We would vacation together annually from elementary through high school and enjoy parties at each other's homes for New Years, birthdays and just random Saturday night dinners. He was always the cooler twin brother I never had growing up. His wife Val grew up right around the corner from him and so I have known her since around middle school age. Childhood sweethearts who didn't even know it! So when I was at Val's baby shower for their sweet boy back in June we of course set up a really impromptu maternity session. On my bucket list photography location list of mine has always been a couples beach session at sunset. 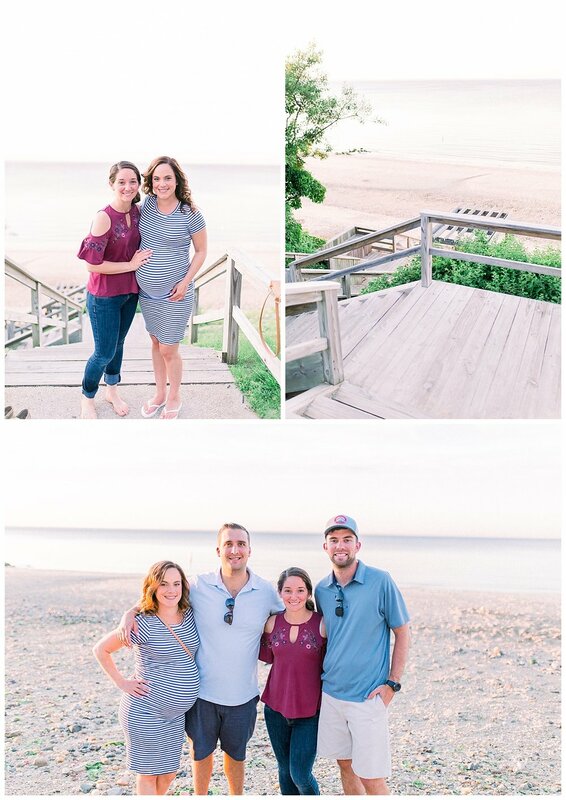 Well, Val and Tyler made my Long Island summer photographer dreams come true. 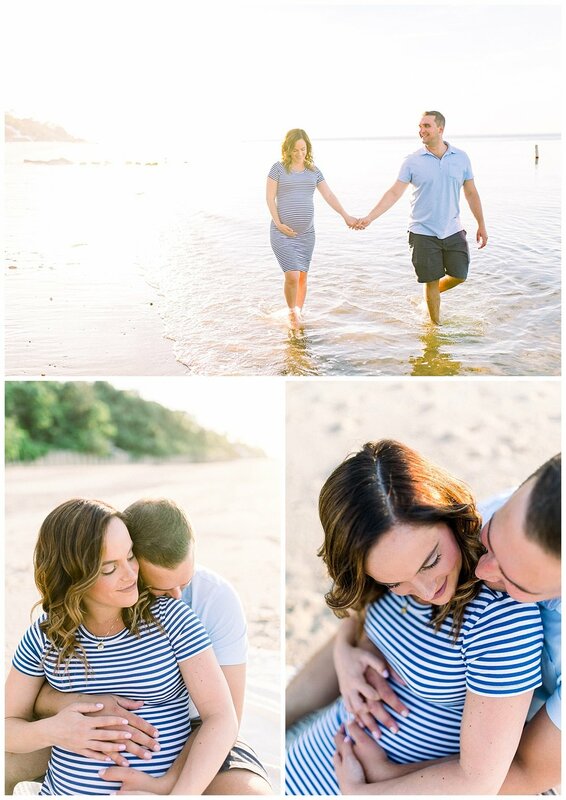 Beautiful sandy north shore beach at sunset and a couple who loved getting their feet wet! Not to mention Val looked like a mermaid glowing in the sun while splashing around. Val & Tyler welcomed their sweet little Weston on July 5, 2018. I haven't had the delightful pleasure of meeting the little guy but I cannot wait to when we move back to the East Coast! Congratulations my dear friends.